Janlynn's Floss Holder Box is a great companion tool to any of our cross stitch projects. Securely store and organize floss, needles, floss winder or any type of small jewelry or crafting items. 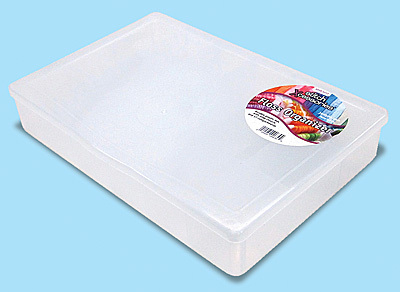 This durable plastic box has 16 standard compartments and 1 large compartment. Measures 10.5" x 7" x 1.75".